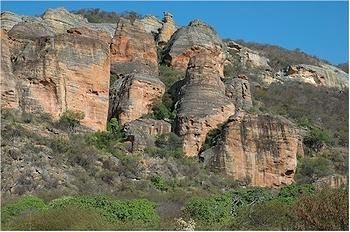 SERRA DA CAPIVARA NATIONAL PARK, Brazil — Niede Guidon still remembers her astonishment when she glimpsed the paintings. 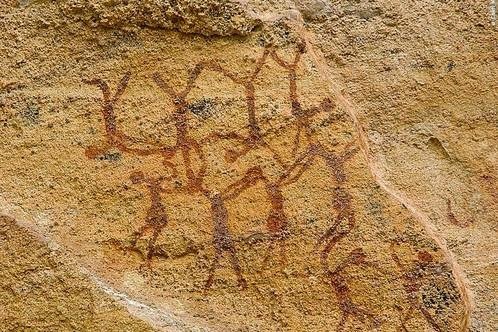 Preserved amid the bromeliad-encrusted plateaus that tower over the thorn forests of northeast Brazil, the ancient rock art depicts fierce battles among tribesmen, orgiastic scenes of prehistoric revelry and hunters pursuing their game, spears in hand. “These were stunning compositions, people and animals together, not just figures alone,” said Dr. Guidon, 81, remembering what first lured her and other archaeologists in the 1970s to this remote site where jaguars still prowl. 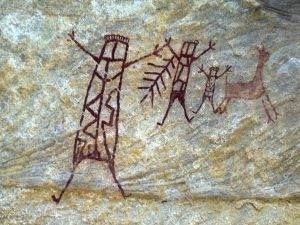 Hidden in the rock shelters where prehistoric humans once lived, the paintings number in the thousands. Some are thought to be more than 9,000 years old and perhaps even far more ancient. Painted in red ocher, they rank among the most revealing testaments anywhere in the Americas to what life was like millenniums before the European conquest began a mere five centuries ago. But it is what excavators found when they started digging in the shadows of the rock art that is contributing to a pivotal re-evaluation of human history in the hemisphere. In Piauí, Brazil, archaeologists say stone tools prove that humans reached what is now Brazil as early as 22,000 years ago, upending a belief that people first arrived about 13,000 years ago. Researchers here say they have unearthed stone tools proving that humans reached what is now northeast Brazil as early as 22,000 years ago. Their discovery adds to the growing body of research upending a prevailing belief of 20th-century archaeology in the United States known as the Clovis model, which holds that people first arrived in the Americas from Asia about 13,000 years ago. “If they’re right, and there’s a great possibility that they are, that will change everything we know about the settlement of the Americas,” said Walter Neves, an evolutionary anthropologist at the University of São Paulo whose own analysis of an 11,000-year-old skull in Brazil implies that some ancient Americans resembled aboriginal Australians more than they did Asians. Up and down the Americas, scholars say that the peopling of lands empty of humankind may have been far more complex than long believed. The radiocarbon dating of spear points found in the 1920s near Clovis, N.M., placed the arrival of big-game hunters across the Bering Strait about 13,000 years ago, long forming the basis of when humans were believed to have arrived in the Americas. More recently, numerous findings have challenged that narrative. In Texas,archaeologists said in 2011 that they had found projectile points showing that hunter-gatherers had reached another site, known as Buttermilk Creek, as early as 15,500 years ago. Similarly, analysis of human DNA found at an Oregon cave determined that humans were there 14,000 years ago. Researchers at Serra da Capivara National Park unearthed stone tools last year that they say prove that humans reached what is now northeast Brazil as early as 22,000 years ago. Their discovery adds to the growing body of research upending a prevailing belief of 20th-century archaeology in the United States known as the Clovis model, which holds that people first arrived in the Americas from Asia about 13,000 years ago. 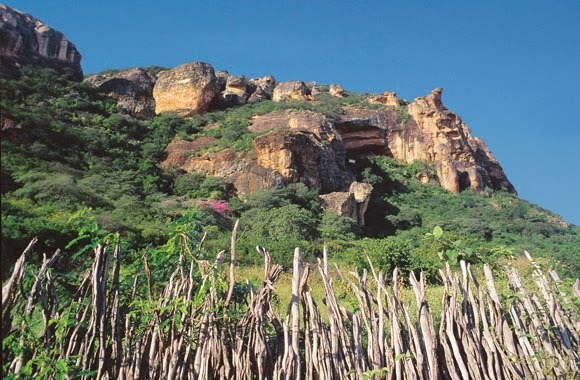 And here in Brazil’s caatinga, a semi-arid region of mesas and canyons, European and Brazilian archaeologists building on decades of earlier excavations said last year that they had found artifacts at a rock shelter showing that humans had arrived in South America almost 10,000 years before Clovis hunters began appearing in North America. “The Clovis paradigm is finally buried,” said Eric Boëda, the French archaeologist leading the excavations here. Exposing the tension over competing claims about where and when humans first arrived in the Americas, some scholars in the dwindling Clovis-first camp in the United States quickly rejected the findings. Gary Haynes, an archaeologist at the University of Nevada, Reno, argued that the stones found here were not tools made by humans, but instead could have become chipped and broken naturally, by rockfall. Stuart Fiedel, an archaeologist with the Louis Berger Group, an environmental consulting company, said that monkeys might have made the tools instead of humans. “Monkeys, including large extinct forms, have been in South America for 35 million years,” Dr. Fiedel said. He added that the Clovis model was recently bolstered by new DNA analysis ancestrally connecting indigenous peoples in Central and South America to a boy from the Clovis culture whose 12,700-year-old remains were found in 1968 at a site in Montana. 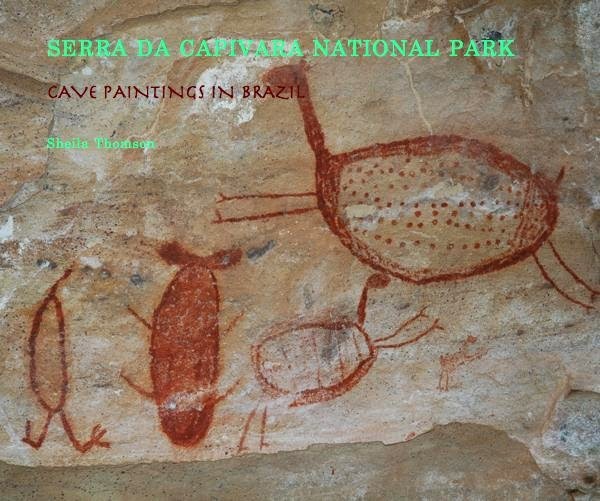 Having their findings disputed is nothing new for the archaeologists working at Serra da Capivara. Dr. Guidon, the Brazilian archaeologist who pioneered the excavations, asserted more than two decades ago that her team had found evidence in the form of charcoal from hearth fires that humans had lived here about 48,000 years ago. While scholars in the United States generally viewed Dr. Guidon’s work with skepticism, she pressed on, obtaining the permission of Brazilian authorities to preserve the archaeological sites near the town of São Raimundo Nonato in a national park that now gets thousands of visitors a year despite its remote location in Piauí, one of Brazil’s poorest states. Dr. Guidon remains defiant about her findings. At her home on the grounds of a museum she founded to focus on the discoveries in Serra da Capivara, she said she believed that humans had reached these plateaus even earlier, around 100,000 years ago, and might have come not overland from Asia but by boat from Africa. Professor Boëda, who succeeded Dr. Guidon in leading the excavations, said that such early dates may have been possible but that more research was needed. His team is using thermoluminescence, a technique that measures the exposure of sediments to sunlight, to determine their age. At the same time, discoveries elsewhere in Brazil are adding to the mystery of how the Americas were settled. In what may be another blow to the Clovis model of humans’ coming from northeast Asia, molecular geneticists showed last year that the Botocudo indigenous people living in southeastern Brazil in the late 1800s shared gene sequences commonly found among Pacific Islanders from Polynesia. How could Polynesians have made it to Brazil? Or aboriginal Australians? Or, if the archaeologists here are correct, how could a population arrive in this hinterland long before Clovis hunters began appearing in the Americas? The array of new discoveries has scholars on a quest for answers. Reflecting how researchers are increasingly accepting older dates of human migration to the Americas, Michael R. Waters, a geoarchaeologist at Texas A&M University’s Center for the Study of the First Americans, said that a “single migration” into the Americas about 15,000 years ago may have given rise to the Clovis people. But he added that if the results obtained here in Serra da Capivara are accurate, they will raise even more questions about how the Americas were settled.